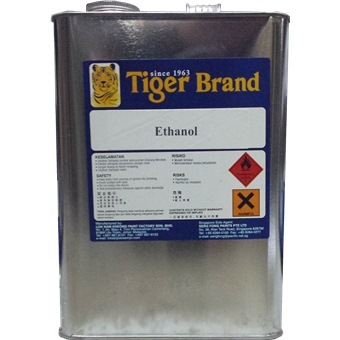 TIGER ETHANOL 95%For general purpose thinning, washing and cleaning. 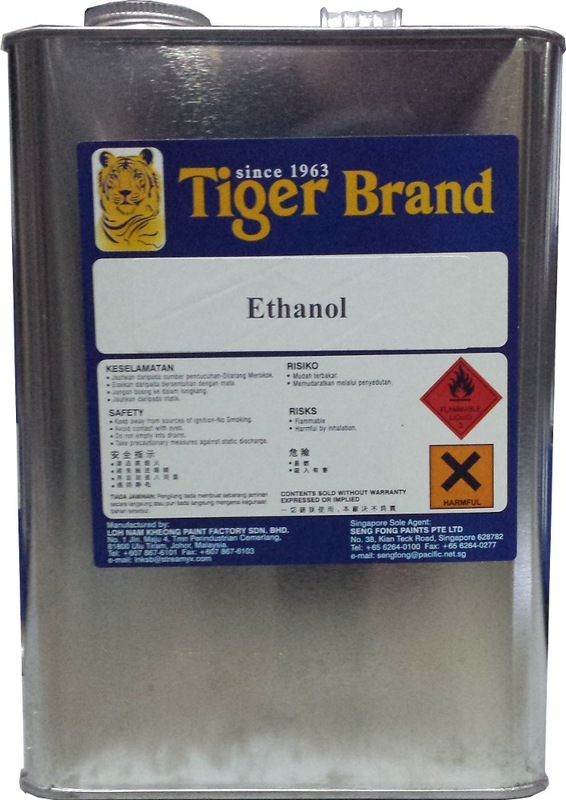 TIGER ETHANOL 95% / SPIRIT is rated 5.0 out of 5 by 6. For general purpose thinning, washing and cleaning. Rated 5 out of 5 by cryptoman from Good Product. Awesome Value Bought this from them and its good product for its purposes. Bought 16 litres last month and am already done using it. Will buy more soon. Rated 5 out of 5 by bukipuki from Effective product I bought this to clean fragrance oils and it works great. It is a bit hard to open the tin but can be done with a sharp object. Rated 5 out of 5 by Yoboe from Good material Good quality ethanol. It is a bit hard to open the bottle. Rated 5 out of 5 by shaq from Needed this for alcohol stove. Needed this for alcohol stove, but also helpful for cleaning. Cheap and good. What more can you ask for. Rated 5 out of 5 by Grey from Product is good Peoduct as expected. Struggled a little to pry it open but alls is ok. Friendly service. Prompt delivery. Keep it up! Rated 5 out of 5 by Roger from Excellent Product & Delivery Service The product is excellent and the delivery is fast. I will purchase again. Highly recommended.